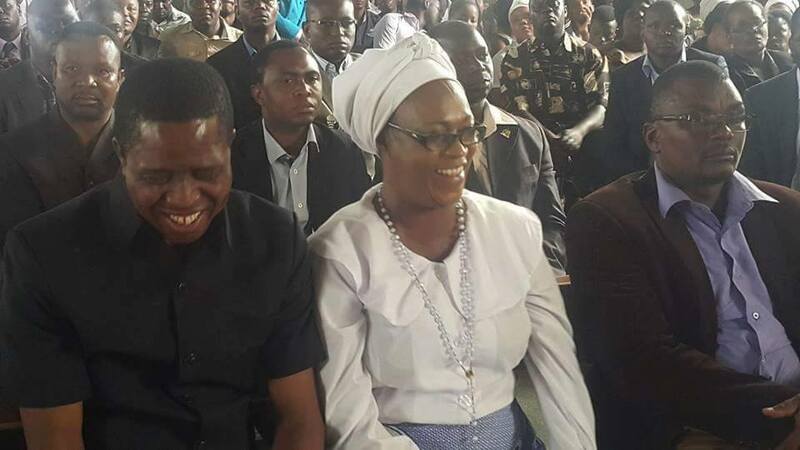 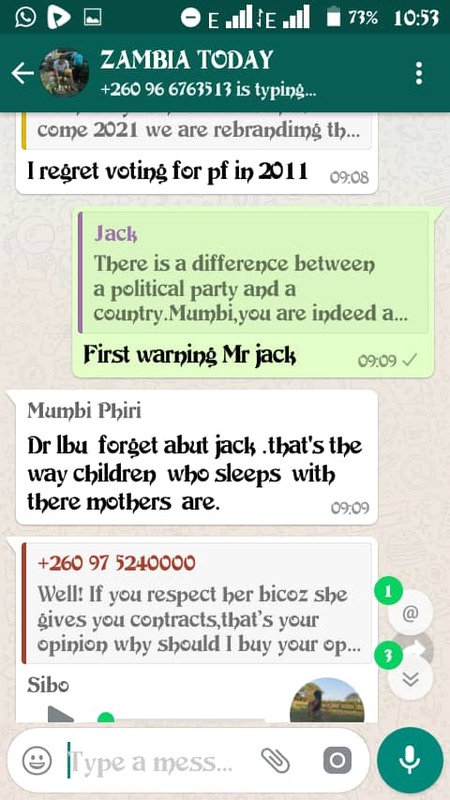 Patriotic Front deputy secretary general Mumbi Phiri over the weekend went ballistic when some PF members expressed concern over the leadership failure and their open support for Chishimba Kambwili in a WhatsApp group. 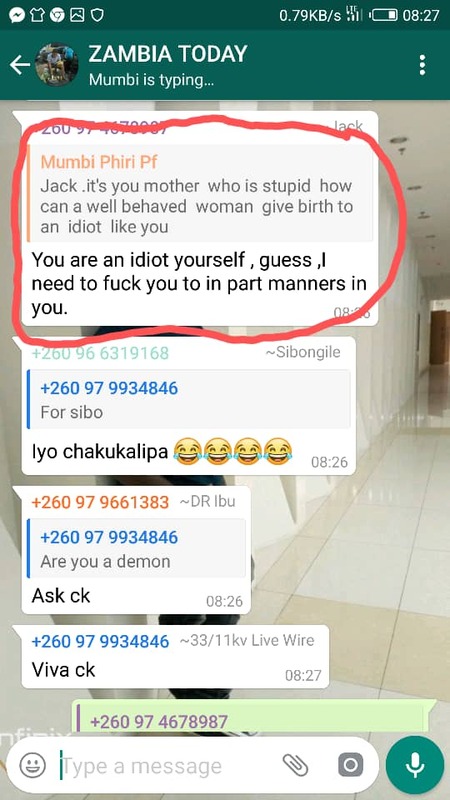 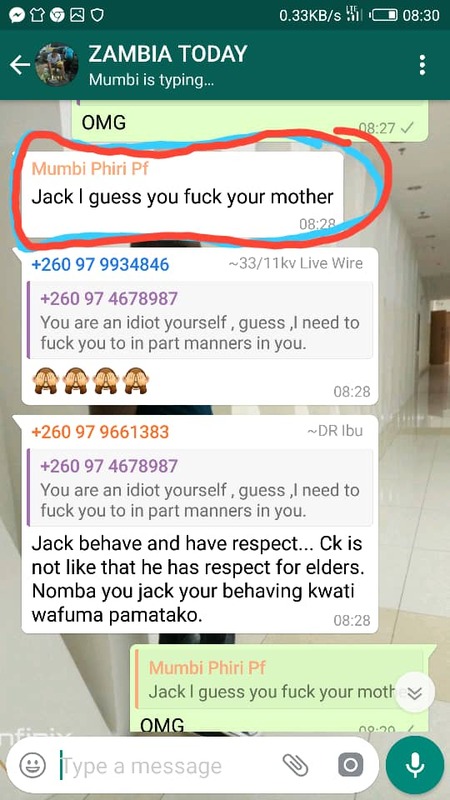 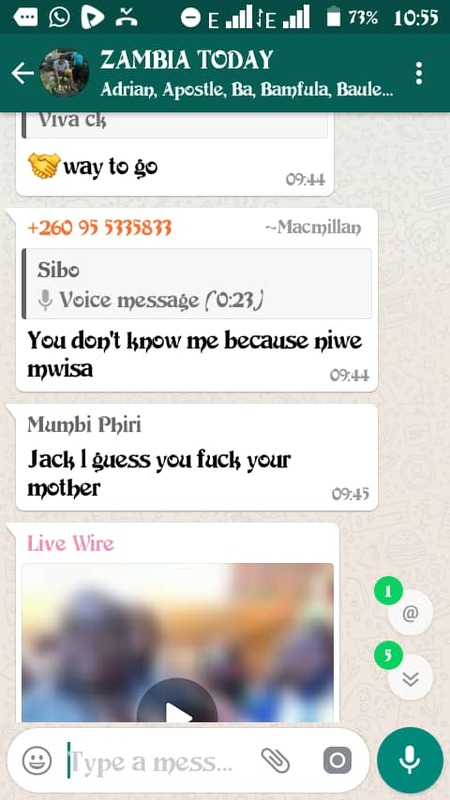 Mumbai Phiri insulted some member only identified as Jack accusing him of sleeping with his own mother. 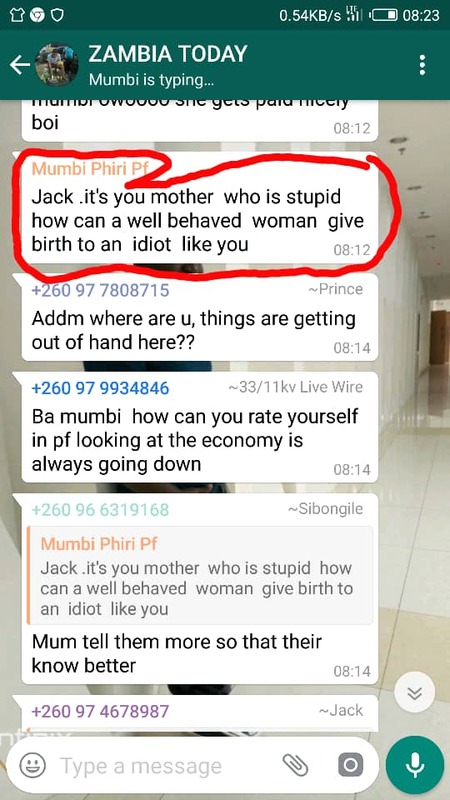 Jack who was suggesting that PF needs to rebrand was abused and insulted by Mumbai Phiri.